BP loves Loves LOVES playing in the bathroom. Why? I don’t know, but I would say it is her favorite room to play in. A friend of ours gave BP a dolls cradle to put her baby dolls in. She plays with it – sort of. 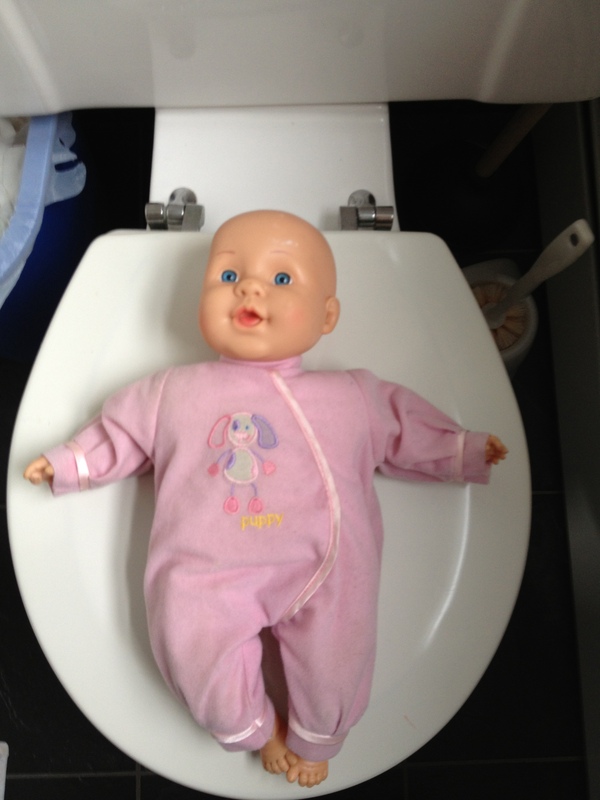 At least baby doll was covered up in this ‘bed’ (and I’m glad she wasn’t covered with a blanket while on the toilet!). 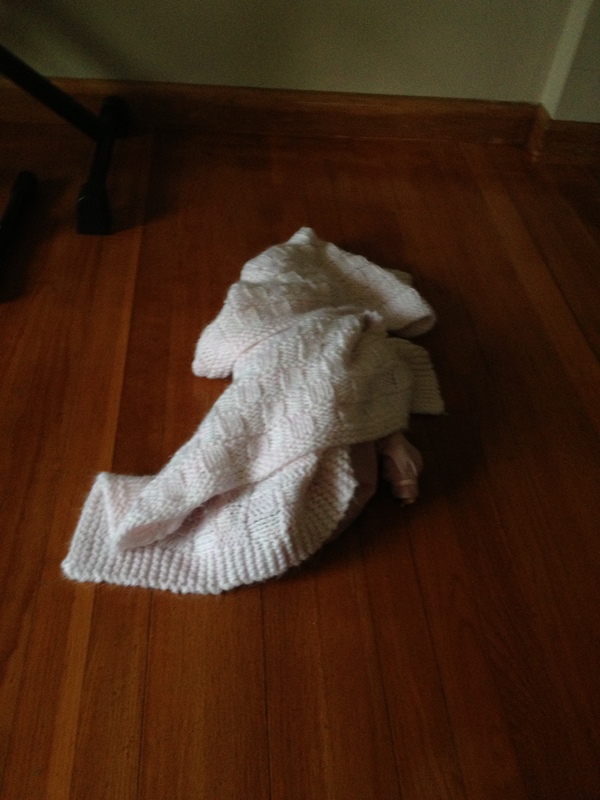 This entry was posted in Baby Person, Stories and tagged BP, dolls cradle, entertainment, home, motherhood, Photography, Silly Child, Stories. Bookmark the permalink.